Larry Huff has been with Business Acquisitions, Ltd., since May 2013 as a Merger and Acquisitions Specialist. Throughout his varied career, he has gained expertise in sales and relationship management. He is a skilled negotiator and values creating transactions that are in the best interest of all parties involved. He brings a wide array of professional business experience and expertise to Business Acquisitions, Ltd. Since 1988 he has provided consulting services to business owners in a variety of industries. Working with business owners has given him valuable experience and understanding of the challenges of business ownership. At Business Acquisitions, Ltd., Larry has represented business owners through the complex process of transitioning a business to new ownership in a wide array of industries including large construction, manufacturing, distribution and specialty contracting companies. Prior to joining Business Acquisitions, Ltd., Larry was a leading professional in the areas of business and personal planning. 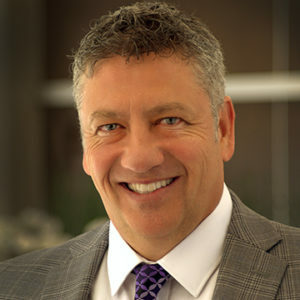 He has qualified for the prestigious Million Dollar Round Table numerous years throughout his professional career and has participated in countless leadership and business conferences. His many distinctions are a testimonial to the expert competence and high ethical standards that Larry demands of himself and his staff. More recently, he founded several real estate companies and ventures. He managed every aspect of real estate investing and development including building, management, demolition, and rebuilds. As a partner in Living The Dream, LLC, he owned and developed property from Gulf Shores, Alabama to Destin, Florida. Additionally, Larry developed and managed several real estate projects in Maui, Hawaii. A native of Colorado, Larry received a degree in Finance from Metropolitan State College. He is licensed with the Colorado Real Estate commission and a member of the Colorado Association of Business Intermediaries (CABI). Larry spends his leisure time with Laurie, his wife of 30 years, and their two boys, Larry III and Levi. He enjoys the outdoors, traveling, and physical fitness. He is very active in his church and broader community.